My husband and I switched over to Richardson Insurance after being longtime Amica customers. Not only did Mike save us hundreds of dollars a year, but he was able to offer us much better coverage then we’ve ever had. Great company to do business with! Love that they’re a family owned company. Keep up the good work! I have been very happy with Richardson Insurance. They have great coverage and are very easy to get a hold of when I have questions. My father just switched to them, because I tell him it is like dealing with friends, they always get you the best deal and make sure you are taken care of. Great insurance agency and great customer service! Always looking to find the best coverage for the best rate. 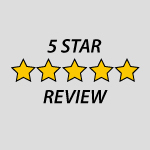 Richardson Insurance was able to help me and my family get the best price on both car and home insurance. I can’t see myself going anywhere else for my insurance needs. Richardson Insurance is hands down the best I have ever dealt with. Not only are they always readily available but they seem to have the best prices as well. I have to call the office from time to time for different things and I have always hung up a very satisfied customer. Mike in the office is a pleasure to deal with and boy does he sure know his stuff. This is a company of true professionals! Best service along with excellent products. Five star service. Mike found me an amazing rate for my car insurance, being a young driver & being on my own insurance plan. This company has amazing customer service & are always so helpful. I highly recommend switching over to Richardson Insurance, you will not regret it! Great company to work with and a wonderful customer service experience! Would highly recommend to others! We just switched to Richardson Insurance and couldn’t be happier with the service we received from day one. Mike broke down each of our policies and explained exactly what we were paying for in a simple and easy to understand way. Being a young driver Richardson Insurance found me a great rate. The process has been hassle free and an easy transition to having my own insurance policy.